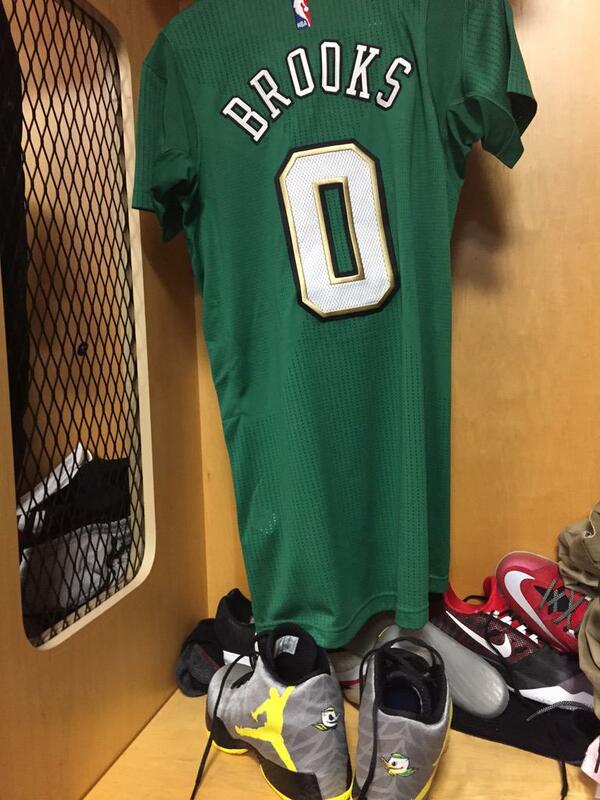 Brooks reps his alma mater in Chicago's green alternate uniform. 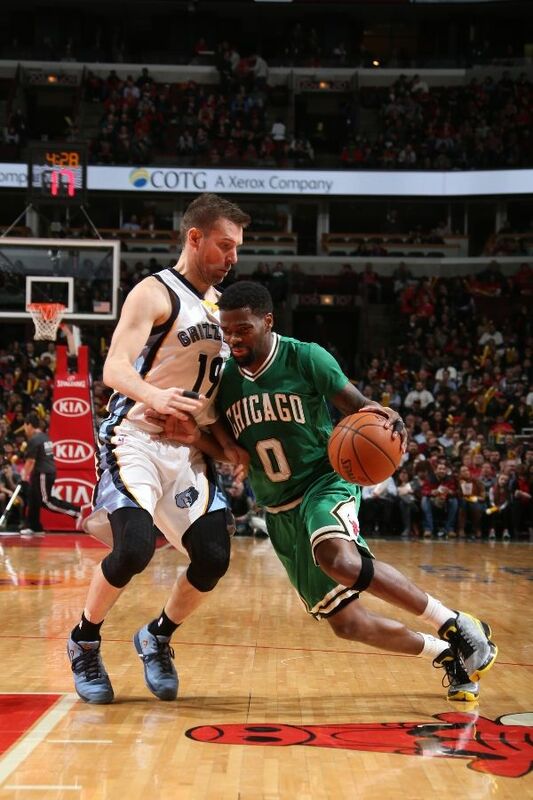 Tonight, the Chicago Bulls donned their green St. Patrick's Day uniforms. 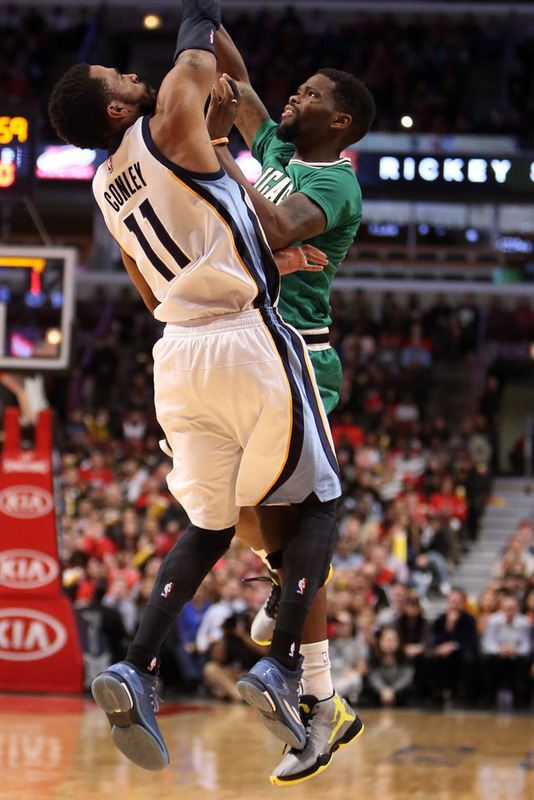 Players are permitted to wear green sneakers to match the festive digs, and Nike's volt is technically a vibrant green hue, so point guard Aaron Brooks rolled with an Air Jordan PE from alma mater. 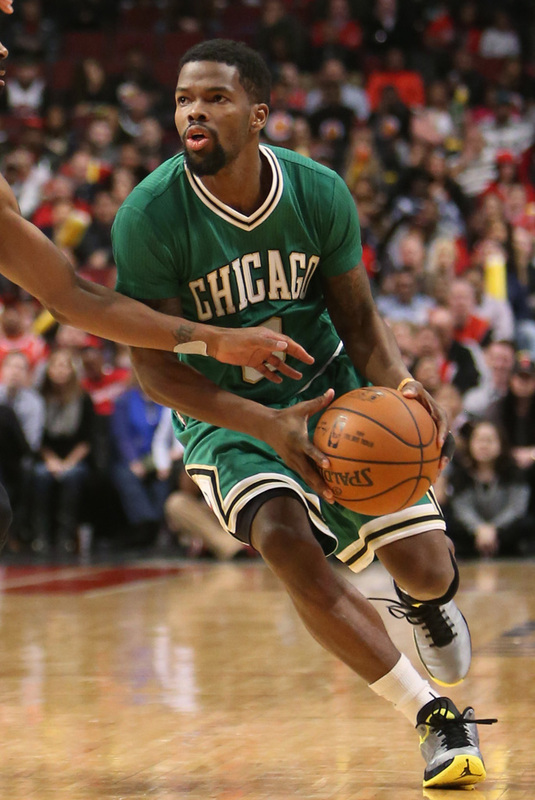 The former Oregon All-American laced up the Ducks' exclusive Air Jordan 29, which is silver-based with volt branding and duck logos on the heels. 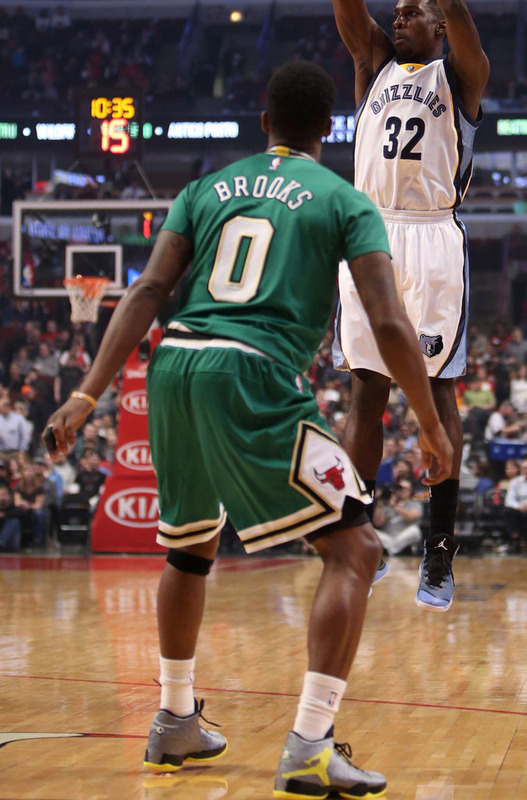 Brooks went for 15 points, 4 rebounds and 4 assists in a 101-91 loss to the Memphis Grizzlies.